GET ANOTHER COURSE FROM OUR LIBRARY FREE! 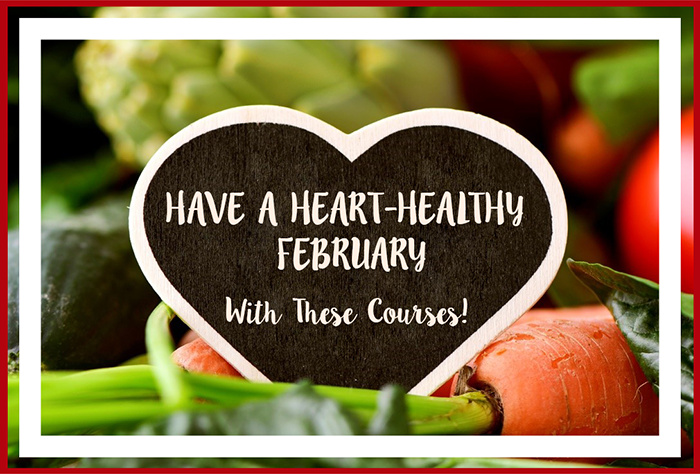 As we observe American Heart Month, we want to make sure you have special access to our continuing education courses on heart health all throughout February. Take this opportunity to refresh your heart health knowledge! Purchase one of our courses on the subject, and get any other self-study course in our CE Learning Library FREE for the remainder of February. Can Brown Fat Fight Obesity and Other Chronic Diseases? Saturated Fat and Heart Health: A Changing Picture? Visit CE.TodaysDietitian.com to view our course catalog. For this special, one coupon use per customer! Offer excludes webinars and books. Offer valid through February 28, 2018, at 11:59 PM EST.